Yogi Adityanath became the second Chief Minister of Uttar Pradesh after Rajnath Singh to visit the makeshift Ram temple in Ayodhya, on Wednesday. Rajnath had visited the temple as Chief Minister in 2002. 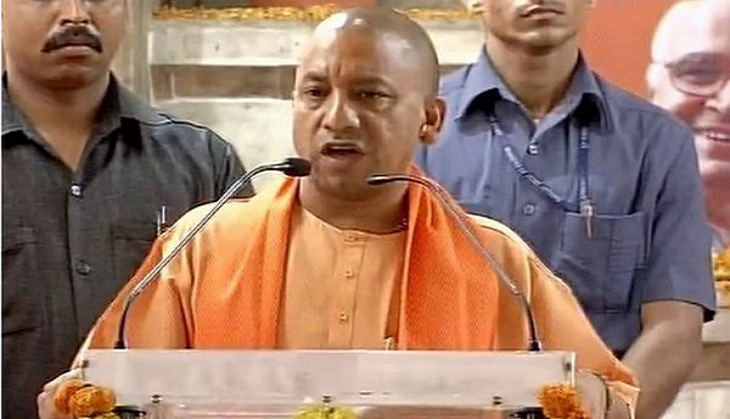 Avoiding rhetoric, Adityanath claimed that some Muslims met him at the Digambar Akhara and expressed their readiness to hand over the Ram Janmbhoomi to Hindus. “The issue should be resolved early through dialogue,” he said. He also said that Muslim groups have been meeting him in Lucknow too offering to give up their claim. Adityanath did not identify the group. The visit by Adityanath was significant for different reasons. One, as the head priest of Gorakhnath temple he has participated in the Ram Janmbhoomi movement. His guru Mahant Avaidyanath was among those who spearheaded the temple movement, while Avaidyanath’s guru Mahant Adityanath was the one who placed the idols of Ram and Sita in the Babri Masjid in 1949. Two, the visit came a day after the special CBI court charged senior BJP leaders like LK Advani, MM Joshi and Uma Bharti with conspiracy to demolish the Babri Masjid. Adityanath met the BJP leaders at the VVIP guest house before they left for the court. In March the state government had cleared 20 acres of land for the construction of a Ramayan museum in Ayodhya. The Union culture ministry, which is responsible for the project, aims to complete it in 18 months, well before the 2019 parliamentary elections. The chief minister’s visit coincided with the birthday of Mahant Nrityagopal Das of the Ram Janmbhoomi nyas. Mahant Nrityagopal Das, one of the architects of the temple movement, is also an accused in the conspiracy case. The nyas is responsible for overseeing the temple construction. On Tuesday Adityanath first visited the Hanuman Garhi and offered prayers before moving to the makeshift temple. After offering worship at the temple he went to the Saryu bank and promised to beautify the Ram ki Pairi. He announced Rs 350-crore worth of schemes for the development of Ayodhya which, along with its twin city Faizabad, was given a municipal corporation in May. Of the amount sanctioned, Rs 50 crore will be spent on improving the holy city’s roads, LED street lights and 24-hour power supply. Adityanath also assured the revival of 84 kosi parikrama (circumambulation) which was stopped by the Akhilesh Yadav government. While the government of the day said that under no circumstances will the yatra be allowed, the ascetics led by the Vishwa Hindu Parishad were bent on going ahead with it. The seers claimed to have completed the parikrama in 20 days even as 75 of them were arrested for defying the ban. With the revival of the government and BJP’s unusually high interest in Ayodhya, the saffron party is hoping to ride crest of another temple wave in 2019. In the run-up to the UP Assembly elections, Ram became a poll issue after Prime Minister Narendra Modi inaugurated the Ramlila at Lucknow’s Aishbagh. The BJP refused to attribute any political motive to the visit. “The Chief Minister was there for a review meeting of the Faizabad division. Since he was there, he also visited the Ram temple to offer his obeisance,” said a BJP leader. A petitioner in the Babri Masjid case Haji Mehboob reportedly said that being the chief minister he should not visit the disputed site. Having failed to provide jobs as promised in the first three years of its rule, the BJP might once again fall back on its Hindutva agenda in the run-up to the 2019 polls. Gadkari blocks NH-74 scam probe: Why is Congress letting him get away with it? READ NEXT >> Gadkari blocks NH-74 scam probe: Why is Congress letting him get away with it?